Catalog Home > Site Blog > Having Fun With Handwriting! Many agree that the days of fancy scroll work and calligraphy have past us by. But the debate on handwriting, simple and practical as it is, continues. Will the use of computers and keyboards one day demote handwriting to the days of the dinosaurs? Is handwriting still a necessary skill? If so, how do we interest children in learning handwriting, a skill seen by many tech-savvy children as an "antique" and tedious form of communication? Today is National Handwriting Day! We see both sides of the debate. On one side, handwriting is an important skill that researchers have shown aides in the process of creative and critical thinking and brain development. On the other side, this post is not being sent to you via a beautifully handwritten letter. Using computers and keyboards, texts, and emails is definitely a more efficient form of communication. The fate of handwriting is still unclear but for today we celebrate it and offer these tips and products for teaching little ones the skill of handwriting. Practicing handwriting does not have to involve copying letters over and over. Use engaging methods to involve children. 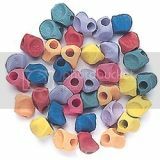 For younger children use flexible wax sticks, clay, or finger paint to create letters. For older students try using crossword puzzles, journals, or unlined paper with fun borders to practice letter formation and spacing. Have lots of different writing utensils on hand. Bold and fine tip markers, glitter glue tubes, colored pens and pencils, and special decorated pencils in a theme your child picked are great to have on hand. Let children experiment with the different utensils and choose one that is comfortable for them to work with. Lap size dry erase boards are perfect for teaching handwriting. Easily write on the board and erase and write to practice again. Wiping away mistakes can also help children feel more at ease with the process. 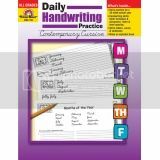 As an alternative to a dry erase board create your own dry erase practice sheets by having pages of a handwriting practice book laminated so you can use them with a dry erase maker. Many children don't like to write because the act of holding a pencil correctly can be a difficult task to learn. Fit your child's pencil with a colorful pencil grip that will form their fingers around the pencil correctly and comfortably. Celebrate National Handwriting Day With A Handwriting Party! Invite children to a handwriting party with a special handwritten invitation! Give prizes (pens, pencils, and mini notebooks) for contests such as the longest handwritten sentence or the prettiest handwritten word. Use frosting tubes to handwrite special messages on a blank cake or cupcakes. Have children decorate a placemat with their own personal font. Let them design a font complete with color-ways, patterns, and name. 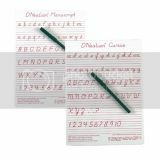 Get creative with teaching handwriting and your children will enjoy learning this "old school" skill. Find more great tips and resources by following us on Pinterest!